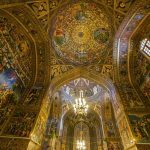 In a barnstorming tour that took him to eight countries in one week, Secretary of State Mike Pompeo burned with one central message: “The need to counter the greatest threat of all in the Middle East, the Iranian regime and its campaigns of terrorism and destruction,” as he put it in Cairo on Thursday. Jetting from capital to capital, meeting with kings, princes and presidents, his goal was to get Arab countries to work together to roll back Iranian influence in the region and take on the militias Iran is backing. But as the trip drew to a close on Monday, it was unclear whether he had made any notable progress on that front. The obstacles toward building such a coalition are formidable. In practice, it will be difficult for the Arab nations to work closely together on anti-Iran policies because of the complexity of relationships in the region, officials and analysts from those countries say. The Iranian-backed militias Mr. Pompeo wants to rein in vary widely and would resist a one-size-fits all solution: Hezbollah is a major force in the government of Lebanon, the groups in Syria work mostly apart from one another in the war zone, and those in Iraq have great influence in the oil-rich south. American officials have had difficulty coordinating their own anti-Iran policy beyond economic sanctions, which Mr. Trump imposed in November after withdrawing from a nuclear arms agreement that the Obama administration and other governments had reached with Iran. 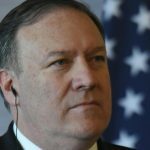 Against the wishes of all his top national security officials, Mr. Trump decided last month to withdraw about 2,000 American troops from eastern Syria, which would cede any leverage the Americans had to limit the presence of Iranian forces and Iranian-backed militias there — precisely the goal that Mr. Pompeo was asking Arab partners to take up across the region. And Mr. Pompeo offered no explanation of how he expected other countries to do the job. When asked Monday what the United States wanted Arab nations to do to get rid of the militias, Mr. Pompeo did not give specific answers. He said Iran aimed to dominate “five capitals,” a reference to the government seats of Iraq, Lebanon, Syria, Yemen and Iran itself. “And our effort is to make sure that the Iranian people get control of their capital, and that it becomes a nation that is normal and isn’t conducting terror campaigns that are unrivaled anyplace else in the world,” he said. In general, Mr. Pompeo’s message was well received among Sunni Arab leaders. They tend to consider Iran, a Shiite Persian nation, to be a threat. In Cairo, Mr. Pompeo said that Egypt, Oman, Kuwait and Jordan had been “instrumental in thwarting Iran’s efforts to evade sanctions.” And he said that Bahrain was working to combat Iran’s “illicit maritime activities” in the region. Mr. Pompeo has not yet proposed that Arab nations outside the war zones send troops to fight the militias, though he has left open the possibility of the United States helping piece together an Arab military coalition to move into northeastern Syria as the United States withdraws. In any case, troop deployments could prove to be as ineffective as they have been in Yemen. Since 2015, Saudi Arabia, one of the world’s largest spenders on military hardware, has failed to oust Houthi rebels who are aligned with Iran from the capital of Yemen, the Arab world’s poorest state. The fighting has resulted in the world’s worst humanitarian crisis. The creation of a unified Arab coalition against Iran would require resolving many political, economic and military issues among Arab countries. 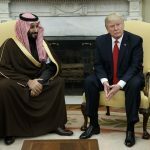 He cited a number of factors: disputes between states like Saudi Arabia and Qatar, the inability to integrate Arab armies, the lack of any kind of united command structure and the fact that not all of the United States’ Arab allies view Iran at the same level of threat. Saudi Arabia and the United Arab Emirates are leading the anti-Iran charge in the region. Crown Prince Mohammed bin Salman of Saudi Arabia has compared Iran’s supreme leader to Hitler and even threatened to incite violence inside of Iran. This has made him the go-to partner for the Iran hard-liners in the Trump administration. Prince Mohammed has also led a quiet détente between his kingdom and Israel, which, like Saudi Arabia, views Iran as an archenemy. Many countries in the region do see Iran as a foe, but some, like Egypt and Jordan, do not feel directly threatened by it and would be hesitant to risk confronting it. Smaller Gulf states, like Kuwait, Bahrain and Oman, maintain diplomatic and trade ties with Iran and would be unlikely to join in hostilities against it. Iraq, however, is dominated by Shiite Arabs and shares a long border and deep cultural, religious and political ties with Iran. Trump administration officials have insisted to Iraqi leaders that they begin severing economic ties to Iran, and have urged Saudi Arabia and other Arab nations to help improve Iraq’s economy. “There are lots of economic things we might do to assist Iraq getting back on its feet, which will permit them to be more independent, have more control, be more sovereign,” Mr. Pompeo said Monday. But while the Iraqi government has taken steps to loosen itself from Iran’s tight embrace, it has shown no inclination to oppose it. “Iraq is not a part of the American sanctions system and Iraq is not a part of the system of attacking any state,” Prime Minister Adel Abdul Mahdi said in November. Mowaffak al-Rubaie, a former Iraqi national security adviser, said that Mr. Pompeo had “tunnel vision” when it came to the Middle East. He said Iraq, which waged a long war against Iran in the 1980s and has fought several wars since, had no interest in joining another one. Nabil Fahmy, a former Egyptian foreign minister, said that he and many in the Arab world agreed that regional countries should play a greater role in ensuring broad stability. But it will take time for individual Arab countries to develop their own military capabilities as well as some sort of mechanism to allow different states to work together. Michael Knights, a senior fellow at the Washington Institute for Near East Policy, said that up to now, the United States had taken a calibrated and piecemeal approach to opposing the Iranian militias, and it should continue with that method.